Well produced and presented, excellent paint cross-referencing. 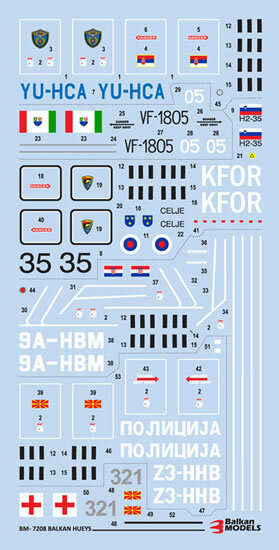 Well-produced and presented decals. 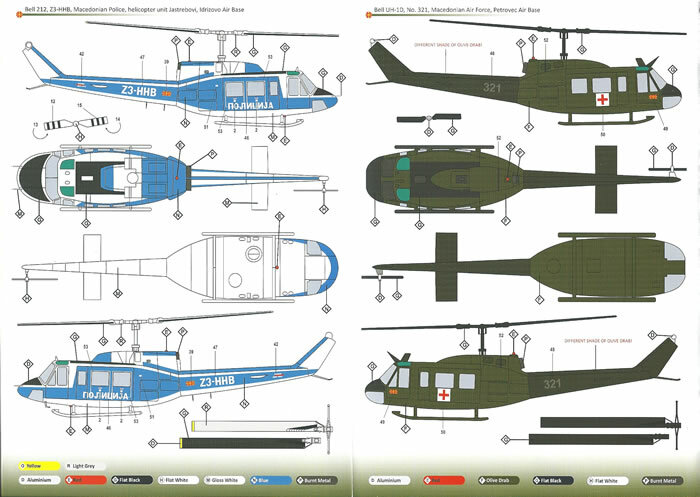 Recommended to those wishing to model Balkan Hueys in 1/72-scale. Bell UH-1D Macedonian Air force. 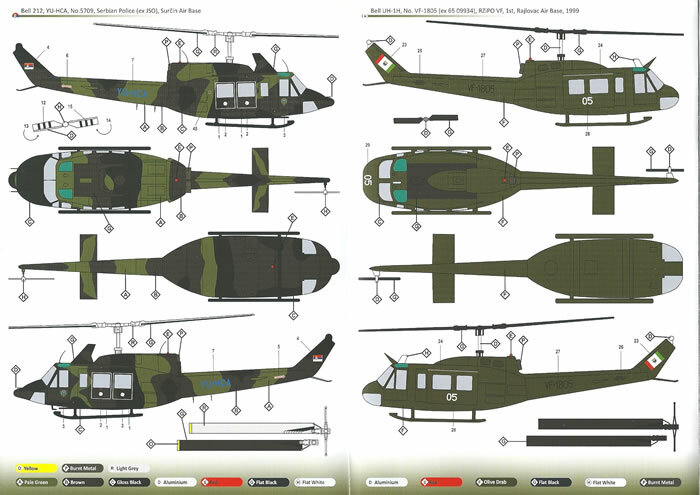 The decals are supplied in an A-5 plastic zip-lock bag along with a single fold out sheet that provides eight A-5 sized glossy colour pages. 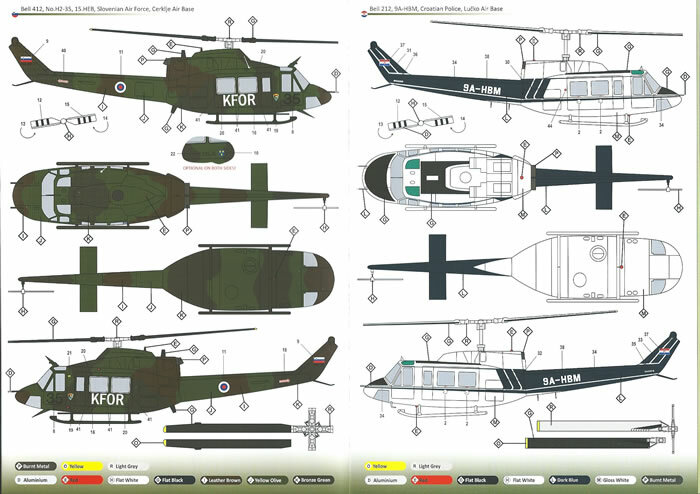 Each of the six subjects is covered by a coloured 4-view painting & markings guide that details each helicopter’s unit and the location that it served from. 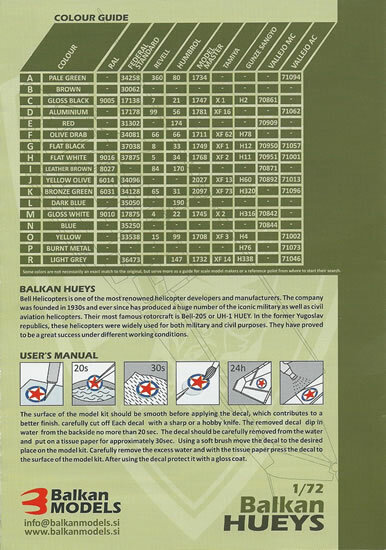 These guides are very nicely produced, and clearly indicate decal locations. 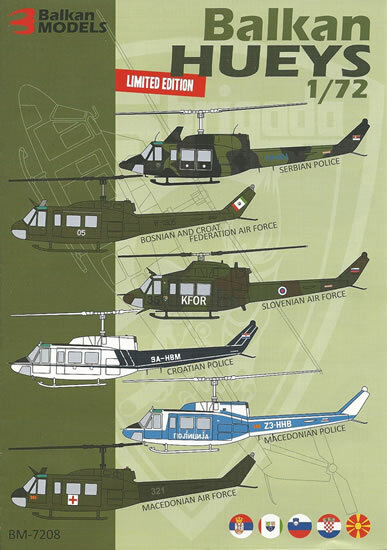 These decals should appeal to modelers of small or obscure air forces and police services, and of course those interested in the Balkan nations covered. The product and presentation is very good, with a very thorough cross-referencing of colours to paint systems and brand ranges - Definitely recommended.